(VEN) - In 2018, the Vietnam Air Traffic Management Corporation (VATM) maintained effective coordination with relevant units to deal flexibly with all types of situations to ensure safety for nearly 900,000 flights from/to Vietnam’s airports and over the airspace of Vietnam. The corporation implemented its 2018 tasks in the context of favorable conditions including the growth of the Vietnamese and global economies. 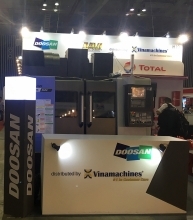 However, complicated changes in the global economic and political situation, as well as national defense and security, had a certain impact on the regional economy, as well as VATM’s operations. In 2018, the Communist Party Committee, Member Council and Management Board of the corporation provided guidance for its member units to take effective measures to renovate management methods and ensure absolute safety for 100 percent of flights within the airspace under its control. The number of flights managed by the corporation is expected to reach 890,935 by year’s end, in which there are 284 VIP flights, equivalent to 104.22 percent of the annual plan and up 10.5 percent compared with 2017’s result. During the year, the corporation implemented synchronous solutions related to airspace, airways, air traffic control procedures and air traffic flow management in order to increase its management capacity, ensure flight safety and minimize congestion at major airports. After successfully applying the SID/STAR RNP1 procedures at the Noi Bai, Tan Son Nhat, Da Nang and Cam Ranh airports, in May 2018, VATM furthered the application of these procedures at the Phu Bai International Airport in order to offer aircraft the optimal trajectory and quickly learn the landing order to prevent congestion, while at the same time minimizing the workload required for air traffic controllers, and reducing fuel consumption and exhaust emissions. At the Cam Ranh International Airport, VATM has implemented sectorization of its controlled airspace and established an air traffic control unit named Cam Ranh APP/TWR that combines aerodrome control and approach control. This new APP/TWR is the fourth APP/TWR unit in Vietnam besides Noi Bai, Da Nang and Tan Son Nhat. It has helped increase the flight management capacity for the airport and enabled flexible use of the airspace for civil and military aviation purposes. On December 6, 2018, the corporation reduced the minimum separation from five nautical miles to three nautical miles (5NM to 3NM) in Tan Son Nhat terminal airspace. This is an important solution to optimize the capacity of the airspace, enhance the flexibility in the organization and coordination in air traffic operation. VATM has paid special attention to human resource development. In 2018, the corporation maintained its collaboration with reputable domestic and foreign training organizations, such as the training facility of the International Air Transport Association (IATA) in Singapore, the training center of Airways New Zealand, the Singapore Aviation Academy and the Vietnam Aviation Academy. The forms of training are flexible with on-the-job training, sending trainees to study abroad and inviting experts to conduct training courses in Vietnam. VATM continued implementing a project to provide basic training for air traffic controller in Airways New Zealand that is self-funded by students. In 2018, VATM also maintained its cooperative relations with international organizations, as well as aviation authorities and air traffic management agencies of neighboring countries. The corporation continued its cooperation with NAVBLUE (France) in the project to establish a new air traffic management procedure for Noi Bai and Tan Son Nhat airports that helps to increase the capacity of these two major airports and the flow of air traffic connecting the two cities of Hanoi and Ho Chi Minh. In February 2018, VATM signed a contract with MITRE to develop a master plan for air traffic flow management in Vietnam within a period of 16 months. In May 2018, the corporation signed a cooperation agreement with the Japan Radio Co., Ltd, under which the Japanese company would provide VATM with JPY200 million (VND43 billion) in non-refundable aid to finance the installation of a Multilateration (MLAT) system at the Phu Quoc International Airport. This cooperation agreement will be implemented in 2018 and 2019. 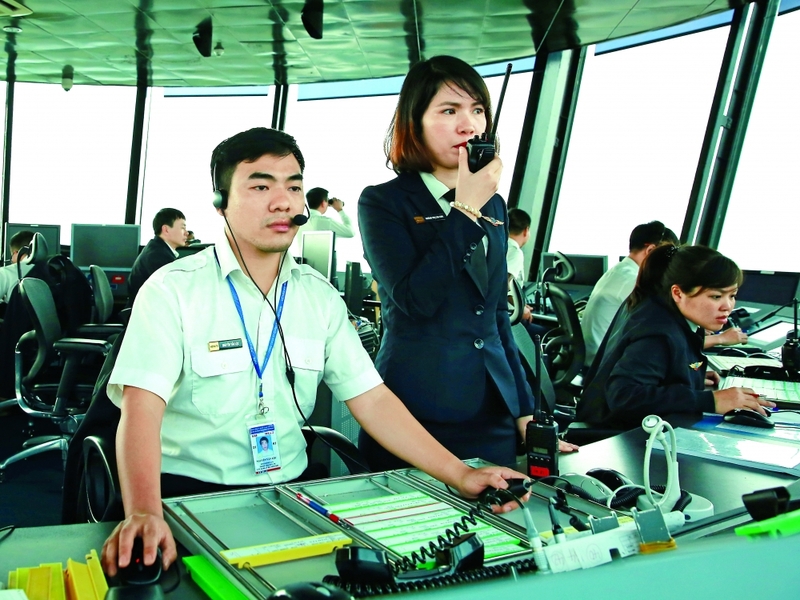 Promoting the achievements gained in 2018, VATM strives to successfully complete the tasks and targets for 2019, seeking to ensure safety, regularity and efficiency of air traffic operation in Vietnam’s airspace. In 2019, VATM continues its efforts to implement solutions to improve its capability and quality of services provided for users - airlines. The corporation will build a quality management system and set safety goals for the 2020-2025 periods, while at the same time creating a complete set of safety indicators and compiling a safety management system manual. VATM will concentrate on training activities to build a team of specialized experts capable to meet strategic development requirements, as well as to research and apply new technologies in the field of air traffic management.